Last week, we celebrated Infection Preventionists, the multi-faceted professionals who keep us safe from hospital-acquired infections. This week, we will explore the various pathways individuals can take to become one of these vital healthcare workers, including degrees and certifications. 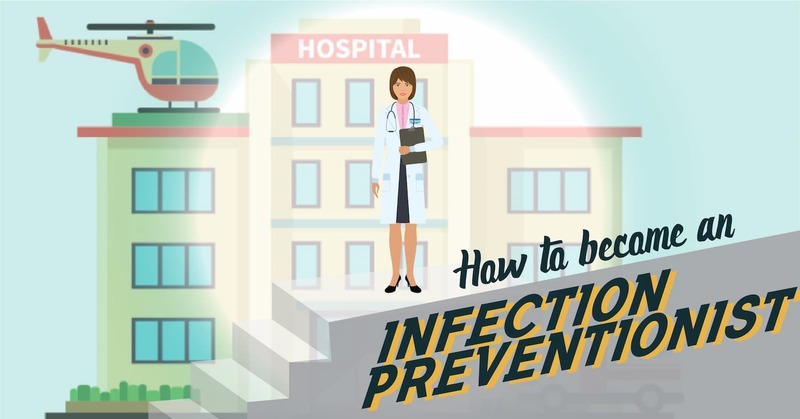 According to a recent study, today's Infection Preventionist (IP) may arrive on the job from a variety of educational backgrounds. Most IPs will still come from a nursing background (82%), but almost 10% trained to be laboratory scientists, while 3% pursued a public health degree. This shift could be a reflection of the changing demands on the IP workload, with emphasis on laboratory expertise and regulatory compliance becoming more important to employers. The end results is a workforce that is steadily becoming more diverse. A result of this diversification is a shift in degrees held by IP professionals. Those with a nursing background tend to have a Bachelor's degree or less (such as an Associates Degree in Nursing) but many more years experience, while IPs coming from public health tend to have advanced degrees but fewer years of experience. This mixture seems to describe a field where significant experience is valued alongside advanced degrees, with each playing a role in meeting the needs of the healthcare facility. Regardless of how an individual arrives on the IP career path, one of the important steps that is valued by healthcare employers is certification. The most common certification sought by IPs is to become Certified in Infection Control (CIC) through the Certification Board of Infection Control and Epidemiology. This certification process requires applicants have a post-secondary degree and already be employed in infection control, preferably for at least 2 years. It comes as no surprise that the preparation for this exam is a combination of professional experience as well as extensive study. The Association for Professional in Infection Control (APIC) recommends novice IPs follow a roadmap to prepare for certification that includes seeking out mentors, specific topics for study, and fee-based resources and coursework. With increased demand for quality improvement and healthcare value, the need for infection preventionists will continue to grow. Individuals interested in the field of infection control and prevention can enter from a variety of educational backgrounds, and can expect a steep learning curve as they become adept at handling the significant responsibilities of this critical member of the health care team.